The Florida Turfgrass Association (FTGA) is a membership organization that provides strong leadership to the turfgrass industry in Florida. It advocates for the industry on important legislative and regulatory issues. 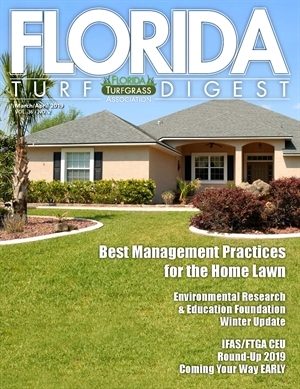 It provides a voice for the industry to educate consumers, state and local leaders, and the media about the turfgrass industry and the benefits of turfgrass. The FTGA is dedicated to education, research and the promotion of environmentally-responsible, professional and scientifically-based management practices for turfgrass. Florida ranks #1 in the Nation for turfgrass-related economic activity with total revenues estimated at $7.82 billion and a total employment of more than 173,000 jobs. Today, the FTGA continues to advocate for and promote the turfgrass industry with extensive research, continuing education and opportunities for turfgrass professionals to network with their colleagues.